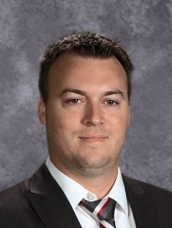 It is an honor to be the Principal at Hicksville Middle School and to be a part of a school district and community that truly cares for and supports its students. I look forward to working with our students and staff to continue the tradition of excellence established at Hicksville Exempted Village Schools. Our goal is to provide a save, positive, and challenging learning environment for each of our students. We believe that all students can be successful, and our staff is dedicated to creating a learning environment where students are able to reach their full potential. We emphasize communication, collaboration, creativity, and critical thinking skills to push our students both socially and academically. We are fortunate enough to allow each of our students to have access to cutting edge technology including laptops, 3-D printers, and robotics. We also spend a greatdeal of time focusing on improving our students’ soft skills as we attempt to set our students up for success in and out of school. At Hicksville we have created the ‘Hicksville Essentials’ as a guiding vision for the values that we as a school community uphold. 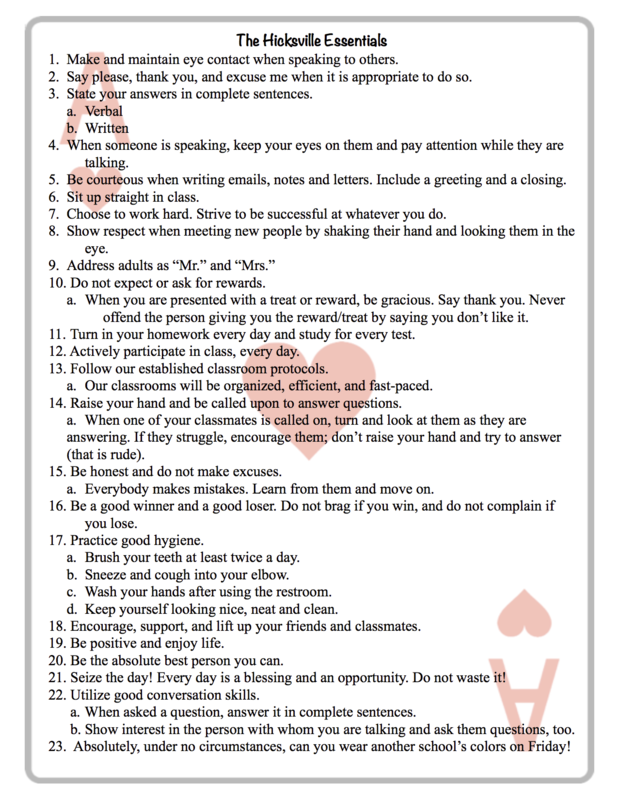 These essentials are a list of 23 rules that incorporate the character, integrity, and morals we expect to see in each of our students. This code is the driving force behind our positive school culture and climate. These essentials will be visible, and communicated daily as we attempt to instill community values and promote integrity and moral character to each of our students. We encourage all of our students to get involved, and to stay involved at HMS. We have a wide variety of sports, clubs, and activities that offer opportunities for everyone to get involved. This involvement supports the academic, social, and emotional growth for our students and we feel it is extremely important to play an active role in our school community. We are committed to establishing a strong partnership to ensure that your student has a positive educational experience. Communication is a key component to this partnership. With that said, my office is always open. Please email, call, or stop in with any questions or concerns. I look forward to what I know will be a rewarding and successful year!